Life in New Braunfels heat is much easier when you know that your cooling system will keep you comfortable. When your air conditioner breaks down, there’s nothing worse. Here at MD Air Conditioning & Heating, we’re always ready with our expert AC repair service! Don’t be afraid of the heat when you know you can count on us! As a proud, full-service HVAC company, we have deep roots in the local area. 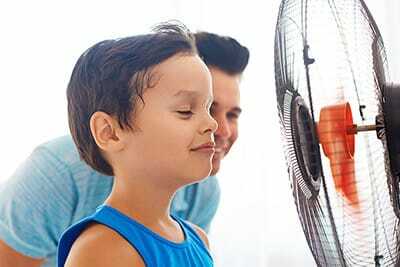 We serve New Braunfels, and the surrounding region with effective, affordable and reliable air conditioning services. We staff a full team of certified and licensed professionals and our team prides itself on being reliable and trustworthy. Coming home to a broken air conditioning unit is pretty much the last thing you want to do on a hot summer day. Fortunately for you, MD Air Conditioning & Heating is here to help. Our technicians are skilled, honest and punctual so you are never left without operational cooling for very long. If you are ready to take control of your cooling needs, call the experts at MD Air Conditioning & Heating! We believe in offering our customers the services they need at a price they can afford. With convenient scheduling and competitive rates, now is the perfect time to put in a call for your next air conditioning or heating repair!